La Montagnola, a unique panorama, in total relax. Caprareccia. It has two apartments with a private swimming pool surrounded by olive trees. 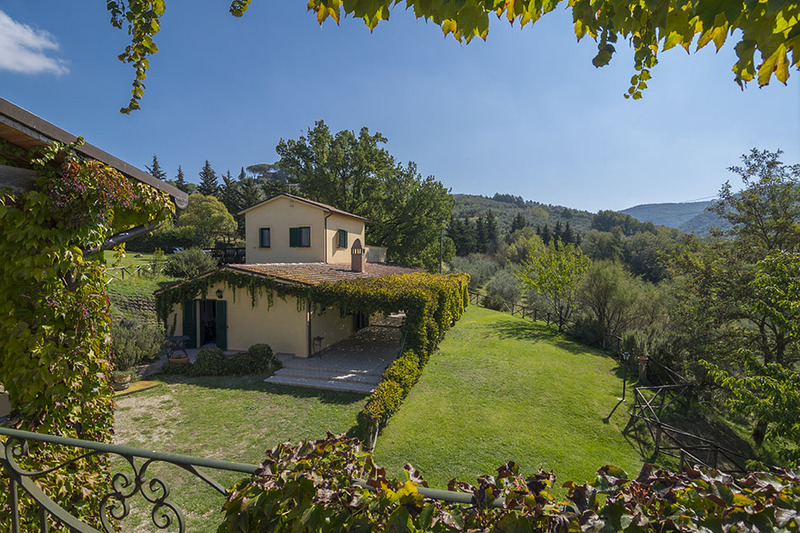 Built at the turn of the 20th century, the Caprareccia is a sandstone traditional country house where you can enjoy a breath-taking view of the Umbrian valley. The farmhouse is divided in two spacious separate apartments, the Blue and the Green apartment. It is possible to rent like a unique villa with pool, or like two separate apartments, in this case you have to share the pool with the guests of the other apartment. Casa della Caccia. Apartments on the first floor, with two other double rooms. 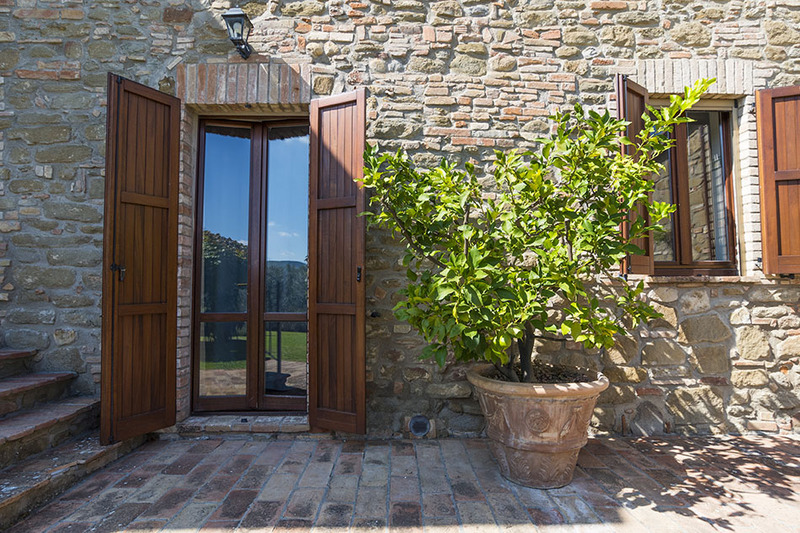 This farmhouse is an old tobacco drier which has been beautifully restored and divided in three apartments and two suites. 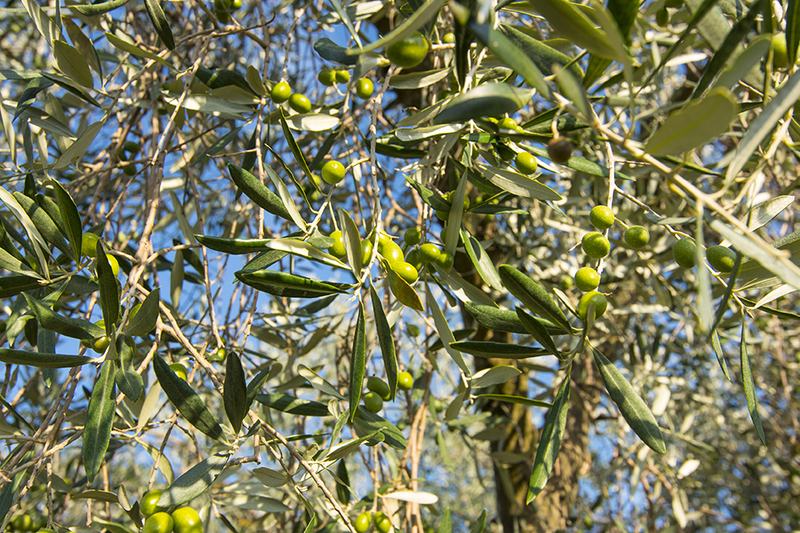 The apartments are named for different varieties of olive trees which include: Il Frantoio, Il Moraiolo, La Dolce Agogia, Il Leccino and Il Falerone. The apartments share a huge living room that can be transformed into a yoga studio or dining room and a refreshing swimming pool. Il Poggio. Two independent and spacious apartments, large garden and swimming pool. Follow the traditional country road lined with old pine trees and ascend the stairs lined with flowers to a lovely porch at the main entrance of this classic farmhouse which has been divided into totally independent apartments that feature personal entrances on opposite sides of the building. Both the apartments take their name from “Cultivar” varities of olive trees. Outside the house, enjoy wandering through the pristinely groomed garden which extends to the ancient olive groves and a woodland area. Just a few steps from the house, the swimming pool. Nestled high in the luxurious Umbrianhills, overlooking the valley of Assisi and the surroundinghillsbetween the Chiasco and the Tiberriverssits the isolated, sprawling La Montagnola Estate, surrounded in its 17th centurymajesty by the dark green and silver of 6,000 olive trees. Thisis the domain of the Borgia and Medici family—an heirdomasancientasItalyitself. 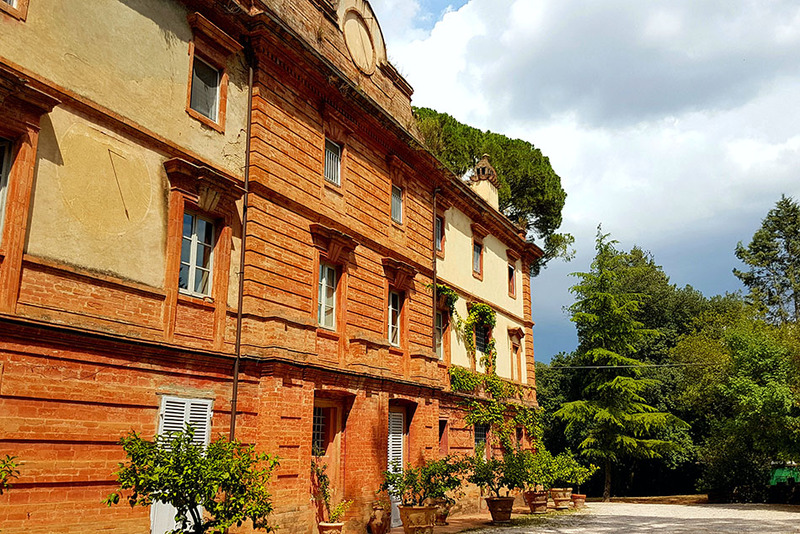 Built over the ruins of a 12-century castlethatwasdestroyed in 1298, the estate came back to life in the late 1600s, when the Baglioni countsestablished La Montagnola as a hunting lodge and summer residence. "If this is the poor man’s Tuscany, maybe it’s better to be broke"
Some articles published on the New York Times and on Washington Post are very heartfelt. Agriturismo La Montagnola in Umbria. 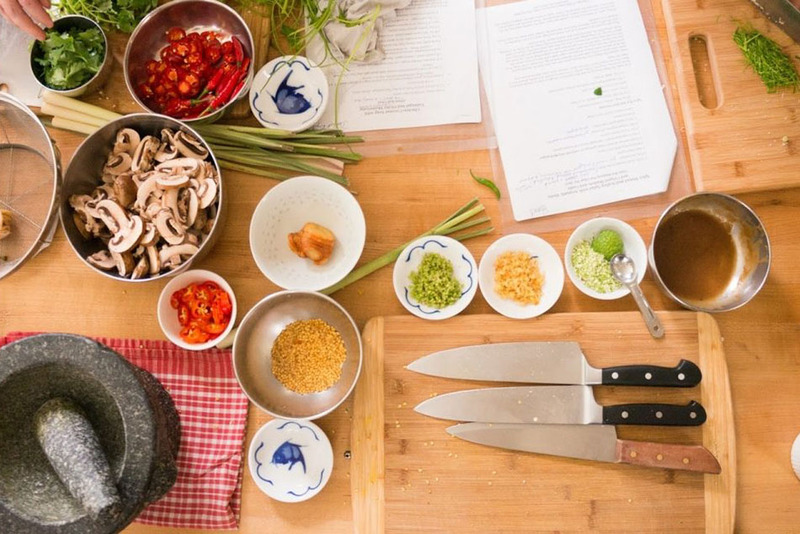 Participate in the cooking course that will be held each week for the agriturismo guests and find the typical recipes. 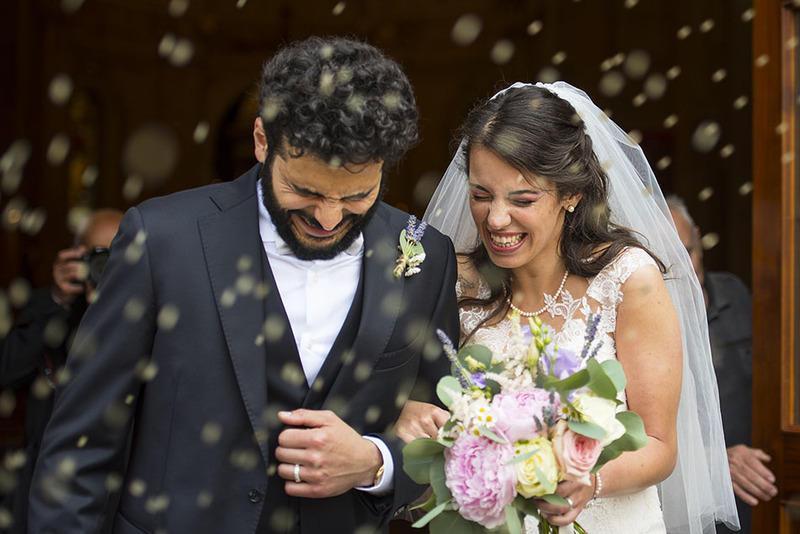 We organize events, receptions and weddings in the spaces and gardens used by Villa “La Montagnola”. The oil mill. Passion for oil, since ever.